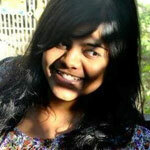 Madhuri Adnal is a Sub Editor / Reporter with our Oneindia News Channel. She follows trending stories and also Breaking news. She has previously worked with Eenadu (ETV Network) for 3 years as a Content Editor and as a Social Media Marketing Manager.